I have had all sorts of posts half written for a few months, but just haven't sat down to finish them all. Thanks to anyone who has read along this year. Just in case there was anyone who I forgot to mail our Christmas letter to, I thought it might be fun to share it here along with the photo I sent (taken by Liz Duren). Some more details made more generic because I'm paranoid and don't like the exact place we live and work out there on the interwebs. Merry Christmas and Happy Holidays, friend! Somewhere between 6:30-7am: Jason and I wake up for work. Hold on, you’re thinking, Jason is there? I thought he was supposed to be on an overseas job? Well, yes, he was, but -surprise! - two months into it, he got the news that he got to come home. So while it was a disappointment in some ways because Jason was looking forward to the job, we are glad it meant he got to be here most of the year. 7am-8am: Drive to the train station and commute from MD into DC. One of the things we had done to preparation for Jason’s absence, was to move in with Sarah’s parents for the year, so she didn’t have to be solo. So when – surprise! – Jason came home, it meant, - surprise! – we both get to live with Sarah’s mom and dad until we figure out what comes next. We do miss our short commute that we had living in DC, but the train is still a better option than fighting beltway traffic. 8am-depends-on-the-day pm: Work at some Federal economic agency. It’s hard to believe, but we’ve both been at our jobs for 8 years now, and we still only sit a few cubicles away from each other. Although we don’t often work on the same projects, commuting, working, and living together sure is convenient, and makes us wonder how couples who aren’t always together ever get the chance to talk. It also makes us wonder if we should get separate hobbies. :) We’ll get to experience it though in January, when Jason is going to be on a rotational program with another related office. 6pm-7pm: Commute home. 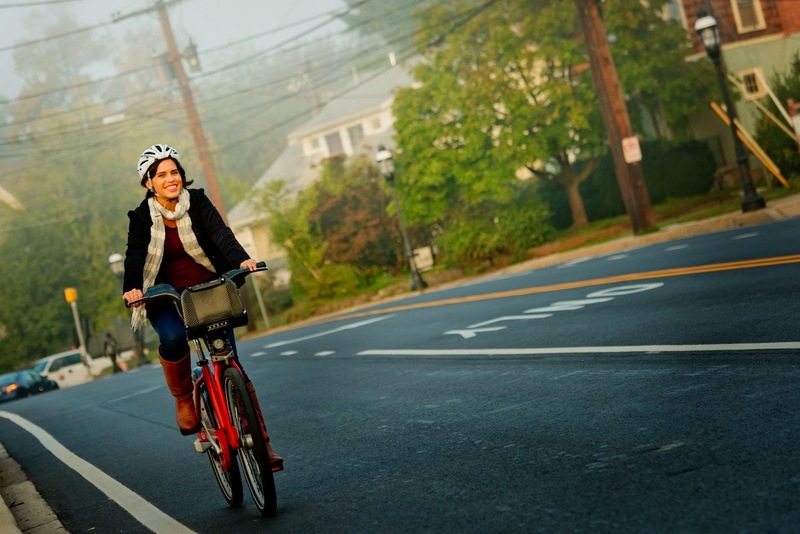 One thing we are excited about is that this commute will look different next year. This is because we will be getting off at a different train stop and walking five minutes to our new house in MD. For the past 8 years, the longest either of us has lived in one place is 18 months (about what our stint with Sarah’s parents will be), so we’re pretty excited to have a place that we are planning to be in for a while. Part of me (Sarah) wonders if we’ll get bored and want to move anyways. :) This house was another thing that was a bit unexpected. We’d been talking about various neighborhoods in the tri-state area (DC, MD, VA) for the past year, but didn’t really think we’d buy for another year or so. Plus, we were really leaning towards going back to DC. However, this opportunity kind of fell into our laps. It has the walkability to public transportation/shops that we loved in DC, plus nearby family, good schools, and a lot more square footage that we hope to grow into one day. So again – surprise! – one week we aren’t even looking at houses, and the next we own a house that will be built this spring. 7pm-8pm: Depending on the day, we may be working out in preparation for the half marathon we did in November, attending an Alumni Association meeting (clearly this is Sarah – who else loved hanging out with her teachers so much? ), and on the really rare occasion, we’ve actually been able to eat and be done with dinner this early (see next hour). 8pm-9pm: Some kind of dinner “event” occurs. Sometimes it’s with friends. Sometimes it’s with family. Sometimes it’s just us. Jason has been becoming quite the chef this year, especially when it comes to anything dough. (Sarah has even taken to Instagramming his creations with the hashtag #doughmanstrikesagain, if you are into that sort of thing.) He’s become quite the expert at homemade pasta, pizza dough, potpies, and of course, cookies. The “dough man” has also managed to use up an entire 25-pound Costco bag of flour this year. It’s been fun to make different parts of the meal together, but it’s not always fast, hence dinner becoming an “event.” We also try to make enough for leftovers, so we don’t have to do this every night. In addition to dabbling in food, Jason has been starting to use grains to make his own beer. The first attempt will be after Christmas, when Jason’s dad, the true beer-making expert, will be around to supervise. 9pm-10pm: In the summer, this was our favorite time to go to the local ice cream shop. Lately, it’s when we are making house-related decisions (usually involving spreadsheets and pinterest). Often, it’s been the time we get caught up on our current TV series with Sarah’s parents. Even though we set up our own space upon moving in, we retreat to it a lot less often than we expected, and have enjoyed the nightly ritual together. Ok, so we usually get sucked into watching “one more episode” until later than 10pm, but we also don’t always just work every day either. Our weekends have been packed with exploring local wine country, hanging out with our nieces and nephews at their sporting events/ orchestra concerts/ apple picking, and visiting with friends and family all over the country. Sarah somehow used her 30thbirthday in August as an excuse to do fun stuff all year (think telling the waitress 3 months later). We also managed to squeeze in a ski trip to Aspen that we’ve been talking about for years right before Christmas (so if you are getting this after Christmas, that is why – sorry). So that’s a glimpse into our day and year. We’ve had both unexpected blessing and trials, but grateful for the redemption Christmas reminds us of, and the truth of Proverbs 16:9, “The heart of a man plan his way, but the Lord establishes his steps.” Catch up with our adventures throughout the year (or just on the rare occasion that Sarah updates it) at our blog, www.twoeconomists.com . All of our love and blessings to you and your family! Guys, I turned 30 this month. I kind of got confused last year, and thought I was turning 30 then, so it was a little bit of a relief to have another year in my 20's. Oh my days of being young and naive. I know. I'm not "that old." And I know if turning 30 happened a while ago for you I just made you feel "really old," and I'm sorry. So I turned 30, but I guess I also turned into a bit of a deep thinker, because along with this birthday, I’ve got some musings and mulling-overs to share. Milestones, in my case, the start of a new decade, have a way of turning your head, shifting your gaze to the path you’ve come down, identifying the steps that brought you to the present. The good is clearer, but so are regrets, and changing directions seems little harder. I don’t know why I didn’t have these thoughts last year when I thought I was turning 30… I don’t know, it wasn’t a big deal then, but it’s been a different year. This year, I approached my birthday with a heavier heart. And while responsibilities, physical pains, and experiences do make me feel older, I think it's more mental. 2014 has been full of things in life not working out as expected. Not always disappointments, but not always pleasant either. Moves and jobs haven't panned out. Plans and hopes have been thrown out the window and smashed on the pavement. Hurts and trials have required opportunities for love and forgiveness. We've walked alongside friends who buried their precious daughter. We watched others lose loved ones to recklessness, sickness and unexplainable reasons. More than ever I'm aware of the broken world we live in, and the destruction of sin around us and through us. If you take an even bigger step back and consider the suffering that occurs on a global scale, it's truly overwhelming. It makes me want to throw up my hands in a teary mess. "And Lord haste the day when our faith shall be sight. It is well, it is well with my soul." In years past, I often had the thought, "This is weird. Does anyone realize what are we signing? Haste the day? Are we asking to die sooner? Um. Heaven is probably going to be good, but I kind enjoy my life too. God, don't really hasten it too much, or maybe just wait until after I get to do more cool things." Horatio Spafford wrote that hymn, It Is Well, after terrible tragedy struck his family in 1873. According to Wikipedia (also what I learned from Adventures in Odessey), his son died of scarlet fever, he experienced financial ruin during the Chicago Fire, and then the rest of his children died in a shipwreck. Yet he wrote that hymn while making the same voyage. Such circumstances contradiction the notion that anything would be “well.” However, I love the reminder that even when my world is not well, my soul can be, because as the hymn says, “Christ has regarded my helpless estate, and hath shed His own blood for my soul.” That truth still holds. So… happy birthday to me! All my friends are now glad I didn’t have a party to celebrate. Can you imagine if I had been called upon to make some kind of speech? I’m only thirty and am all doom and gloom and sound ready to check out – and I’ve got what I hope are decades to go! I’m sure I’ll have some kind of gems to share about failing bodies and the deplorable state the world is heading to in a few years. But seriously, whether you are older or younger, maybe you know what I'm talking about. The sure things in life are death and taxes, though "trials" could be added to the list as well, right? Yet not despair. Milestones not only give you pause to reflect on the past, but they also create fresh hope for the future. I think this next decade is going to be awesome as I watch my nieces and nephews grow up, experience life with my best friend, and insert some other happy cliché about the unknown here. If I'm honest, I know the future will probably hold more hurts too, but with it, the truth that "It is well." When I was in college, I fell asleep in class so much that I literally could take notes while dozing off. The notes usually weren't all that coherent. One time I woke up to find the words "green" and "God" scrawled in the mix of more economic/math-y words. Um.. my subconscious is spiritual and artistic? The only time that my sleeping habit was mildly embarrassing, was when during a night class when the lights were off for slides (equals zero percent chance anyone would stay awake), the teacher spoke directly to me in answer to a question I'd asked earlier in class. I don't think he really noticed or cared that I was asleep, but it was just not fun to wake up to the professor saying, "Sarah, this is the answer to your earlier question." Another time, I startled myself so much once I woke up that my immediate reaction was to raise my hand up in the air as if to ask a question. I think the professor's back was turned so it was just the kids sitting next to me who thought I was a weirdo. Maybe my hand-in-the-air reaction is more of an insight into how much I liked to talk to my teachers, and ask questions, and that they all actually knew my name, but that's another topic for another day. The thing is, this sleeping habit was not only restricted to class. I basically fell asleep any time I was sitting down and not actively engaging: Sunday sermons, car rides (while riding, never driving), movie theaters, etc. My friends were both amused and amazed at my ability to sleep anywhere. But guys, I have had a revelation in the past couple years: that was not normal - I have just been sleep deprived my whole life. I started my daily coffee habit one semester of college when I had an 8 am multi-variable calculus class every day, and a few years later was already so dependent on caffeine that I would get headaches when I didn't have a cup in the afternoons as well. I worked hard in college, but still was really social, involved in sports, part-time jobs or other extracurriculars, meaning I rarely made it to bed before midnight and usually was up by 7. Many nights 1-3am was a more typical bedtime. Post-college, I got a job in DC, commuted an hour each way, started part time graduate classes, and got old. (Seriously, it was amazing how even a few years after undergrad, no amount of unfinished schoolwork was worth staying up past midnight.) Still pounding coffee, falling asleep on the commute, and eating just to to stay awake in class, I just thought how I felt was normal, since that's how my life had been for ten years. A few times in between hitting the snooze, I would dream that I was so tired that I actually slept through an entire day and was waking up say, on Wednesday instead of Thursday. My mom, after hearing of Rip Van Winkle, would actually say things like this to my brother-in-law when he fell asleep on the couch, "Jimmy, wake up. It's Christmas time. You slept through the whole year." Alas, all good things must come to an end. Since our commute time was extended again with the move back to Maryland, I have more frequently needed that second or third cup of coffee. I cannot really blame the commute, however. We get up earlier, and although I'm not staying up doing work, we have actually been going to bed later because my dad, a notorious night owl, has gotten us hooked onto a few different TV series that he doesn't start until after he gets back from evening meetings. I guess going to bed late isn't as bad when it's for fun reasons. Now, I will say that even during the times of my life I was getting less sleep, it was still more than some people get. I certainly had the choice as to how to spend my time when some people may not. Moms of young kids, people with grueling work schedules, and plenty of other people have a much tougher schedule, so if that is you, how do you do it!? You have my serious respect and sympathy. I'm not trying to complain, and I know that on many levels this is so trivial, but I am just fascinated that I just never even knew I was sleep deprived so much of my life until now! I mean, I feel like a real adult now because I actually wake up ON MY OWN SOME WEEKEND before 8 am, filled with the same amount of wonder as Pinocchio at being a real boy. So that's it. That's my story. I never know it wasn't normal to be so tired - what else in life am I missing? Is tofu actually tasty? Or is Game of Thrones really that good? What else do I think is normal that isn't? Why is North Carolina so Cheap? Have you seen this map that came out a while back? It's the Business Insider graphic of the United States with the first word that comes up after typing "Why is [state] so" written in every state. (It doesn't have DC, but the Google autocomplete for DC was, "Why is DC so expensive". Shocker.) It's amusing and reveals some of the stereotypes (and truths behind them!) across the country. And I must admit, I've been holding onto some assumptions myself about other parts of the country, especially the South. I grew up in Maryland, nicknamed "The Old Line State" for being on the Northern part of the dividing line during the Civil War ("War of Northern Aggression" for you Southerners). And though we're really in the middle, I identified with Northeastern characteristics more than Southern ones. (Temperamental and uninhibited according to the Huffington Post - while not flattering, they do probably describe me more than the other regional characteristics.) I certainly never wanted to live in the south. My requirements for where I'd move to up until now have been: 1) within an hour of a major airport 2) within 15 minutes of a Target, 3) within four hours of the coast, and 4) nothing farther south than Northern Virginia (Austin and anywhere in California excluded). Limited experiences in Texas and North Carolina left me with the impression that the slower pace of life "down south" would be way too boring for me, and all there is down there is shopping and eating. (Maybe some cow tipping? Is that more Midwest? Ok, maybe some rodeos? Also, I am not sure why up until now, I felt like shopping and eating was something I didn't want since those are both pretty big "hobbies" of mine.) So in that sense, I'd say our trip to Raleigh a few months ago was perfectly southern. We took it easy, shopped and ate. And it was awesome, and ok, yes, this city-girl did kind of assume it would be too "country hick" for me. But there were all sorts of other fun things in Raleigh to do like local breweries, all sorts of green spaces for outdoorsy stuff, local theaters and music venues. Getting around did require lots of driving, but it was so easy to navigate, find parking, and get most places within fifteen minutes. I'm not saying I want to move there, but it did make me understand why people do. As the title and Business Insider graphic implies, I was pleasantly surprised at how relatively cheap things were, making it an affordable yet interesting place to be. All of that preamble (pre-ramble?) is to say, that we went to North Carolina and I want to talk about what we ate did! Earlier this year, part of the out-of-town work Jason did was in North Carolina, which meant a good reason to spend a couple weekends in Raleigh. The drive wasn't bad and gave me a chance to catch up on phone calls, books on tape, and indulge in chick-fil-a. I've gotta say, highway driving in southern Virginia and North Carolina is awesome. Once 95 goes from four lanes to two, most people know to use the left lane as the passing lane and will move to let you pass. People who hang in the left lane are a major pet peeve of mine, and I appreciate the good people of 95 letting me pass. The only awful part of the drive was trying to use iphone maps anywhere that wasn't on the highway. MULTIPLE times I was lead to the middle of a neighborhood instead of a fast-food joint. We used Hyatt points transferred over from our Chase Sapphire Preferred credit card to stay at the Hyatt House in the North Hills area. The hotel was brand new and in the middle of a huge new town center with all sorts of shopping, eating, even a bowling alley and movie theater. The downtown hotels were at least 50% more expensive and charged for parking, so it didn't seem worth it to us to pay more when the Hyatt was only a fifteen minutes drive and downtown parking was plentiful and free on weekends (a true treasure to anyone from DC!) With so many amenities in walking distance, and rooms equipped with standard kitchen equipment, we were a little bit sad to leave. With so many good spots within walking distance, we ended up eating in the North Hills town center for a lot of meals. Call me an "Open-table" addict, but I was astounded at how long waits were all over the place. The few times we waited until 7pm to begin our dinner search, we were faced with multi-hour waits at all the recommended spots. I know better than to try hot spots in DC without reservations, but just didn't expect what actually seemed like a worse wait-list situations there. I think this is further proof of my theory that going out to eat is the only thing to do. It also is evidence of the economic High Cost of Free Parking, despite how much I love it (you may not pay cash to park, but overcrowding when everyone can park free means you pay in wait-time). But I digress. I've gotten behind on blogging about this, so the details of what we did are slightly fuzzy. We did a lot of shopping, because there were a few things Jason actually needed, and there was nothing else to do. Kidding - a friend of our really enjoyed a performance at the Performing Arts Center, and we saw play at the intimate, but hard to find, Theater in the Park. It should be no surprised that the main thing we did was eat. I've got the full restaurant list at the bottom. Other than that and the shopping, we walked around downtown a lot. We went to a couple wineries about half hour outside the city: Gregory Vineyards and Adams Vineyard. It was something fun to do, and Gregory Vineyards had a nice scenic porch to sit at, but the local grape, the muscadine, really isn't one I enjoyed drinking more than a few sips of - very very sweet and fruity, with a musky undertone (which is where the name "muscadine" comes from). If we ever go back, there were a lot of breweries that would have been fun to check out and tour. Plus, after spending a few days in Raleigh, I think spending more time down South sounds just dandy. Best for: Easy outdoor meal with friends, especially with kids. This place was quite charming. Like stepping into some kind of portal to Mayberry, local goods lining the shelves and the white-board menu made promises of honest-to-goodness food as it was meant to be eaten - throwing the notion of calories and food trends to the wind. Not everything on the menu was as stellar as I hoped (ie: the burger), but I think if you stick to the deli-type items, you're golden. We were told someone would take your order if you got a seat, but after waiting a while outside, we found that ordering at the counter is much faster. They had a local hot dog that was a frightening shade of bright pink and tasted like red hots candy to me. Cheer wine, another local food, was available in glass bottles. It isn't actually a wine, but the glass bottles fit the Norman Rockwell feel, and I thought the cherry flavored soda went well with my chicken salad sandwich, which was definitely good enough to want to go back. Best for: Special evening with a hot date, both of which I had! Oh man, I loved the food here. I think you would too, even if Asian food isn't your cup of tea - or maybe cup of green tea (groan!). The flavors were so fresh and vibrantly mixed. Be sure to make reservations and save room in the budget, as trendy places like this tend towards smaller serving sizes. Our waiter told us Billy Joel ate there and ordered the pork belly soup (he also made a joke about pork "Billy" soup - groan again!). We didn't try that, but we did try the green mango salad and it was amazing! The chicken wings were a little bit of a let down after Pok Pok, but the daily special that day was grilled shrimp, which more than made up for it! Southeast Asian foods tend to have a good bit of French influence, as evidenced by the macrons we had for dessert. For a place with a name like, "the pit" this restaurant was really nice. The portions were also huge for the price. I kind I'd wish we hadn't gotten the cornbread skillet, not because it wasn't good, but because it kept me from finishing everything else. As with all other places in this town, make reservations. We went for brunch and had fun touring the chocolate factory across the street after. Best for: Good food for this BBQ novice without any fuss; also iphone maps brought us into a neighborhood across the street from where this place really was. This was more of a fast casual place, but I'm still thinking about how good the collard greens here were. The brisket was so tender you could break it up with a fork. The dryness was a good excuse to douse on BBQ sauce, though I haven't quite acquired a taste for the vinegar-based Carolina style sauce. Jason's pulled pork was nice and flavorful and fresh hush puppies were served with everything. I think it was a local chain and wish it would make it's way up here. Best for: a group celebration with your family or friends who like good food, and are either willing to get there early or be loud enough to talk over the noise. It's my fault - I can't remember how this place was because I didn't take good notes and this happened a few months ago by now. This was close to where we stayed, but we still had a really hard time getting in, and it was dark, and somewhat cramped, so I think I have unfavorable memories even though the food was really good. The fun thing here was that they had half portions of their pasta dishes, so we got the gnocchi, spaghetti and meatballs, and the pappardelle. I'm pretty sure the pappardelle was our favorite, though my memory is failing me. So I don't have anything helpful to say about it besides reserve early. Right across from our hotel, we ended up here because it was the only spot without an hour wait at 7pm Friday night. I'm really not sure why it didn't because I thought it was far more memorable than the Italian place nearby. Hungry impatience prompted an order of truffle frites as an appetizer - and wow. The perfect mix of crunchy, salty and savory, these shoestring fries haunt me like the ghost of Christmas past (cause clearly food-ghosts are the friendly ones). As boring as it sounds, I had a burger and it was also wonderfully salty and peppery, though now I'm starting to wonder if my extreme hunger that night is actually what made it so good. The prices were average for DC, so expensive for Raleigh. Call me a food snob/jaded/bored, but I was kind of let down by this place. I don't know. Half the things were really good and half were mediocre, making it just not that memorable. Biscuits were good but didn't come with enough gravy; the chicken was nice and crispy but the poached egg yolks weren't runny. Plus, it's the same as every other joint that's popping up with their hand-crafted cocktails, reclaimed wood décor, flannelled staff, and food that claims to be a "twist on traditional," but isn't all that unique. The unique thing to me was that we each got an entrée with coffee and paid less than $25! Don't get me wrong, it was fine, and the other restaurants by the same chef, a James Beard Award winner(! ), seemed highly rated, though I'd bet the quality was higher the first few months of opening. I'm still curious about how her other restaurants are. So if my complaint with the last place was that it was too boring, this place was quite on the opposite end of the spectrum! As the name somewhat implies, this place specialized in sushi and burgers. There were even creations that combined the two foods so it took us a long time to figure out the menu (burger ingredients in sushi form and vice versa - we weren't brave enough to try those ones). This place was packed all weekend, and it definitely is fun. Bright colors, fish tanks, and Asian cartoons made me feel like I would have liked this place a lot more if I was in college still and wanted to go somewhere fun with a group of friends. However, my adult taste buds still loved all the food we had. I am in the camp that believes the more foods a restaurant specializes in is inversely related to the quality of those foods (options increase = quality decrease), but this place really did have two very different foods that were still really delicious. Man of the burgers or "in-between" foods had some kind of Asian flare, and the sushi was fresh and creative. I'm not totally sure if I'd go back, but it was fun to do once and really did have some of the best food in the area we stayed. There is no good way to slyly drop this in, but guys, my picture is on a bus. Depending on who you are, this is either amazing or mortifying. I think it's somewhere in the middle, closest to hilarious. So there is my in-the-open brag, none of this fake #humblebrag. I don't think this really counts as being famous, and honestly, I'm not sure that anyone looks good when their picture is that big. It's hard enough for me to look good in tiny pictures or real life. Friends on Instagram already know this. So I wanted to explain a little why I'm on a bus. Plus, I think this is the only time I can say, "I've got something exciting I've been wanting to tell you about but couldn't share any pictures until they've been professionally released" since I likely won't be publishing a book, collaborating with Target, or have my home in a magazine or whatever "surprise projects" other bloggers work on. 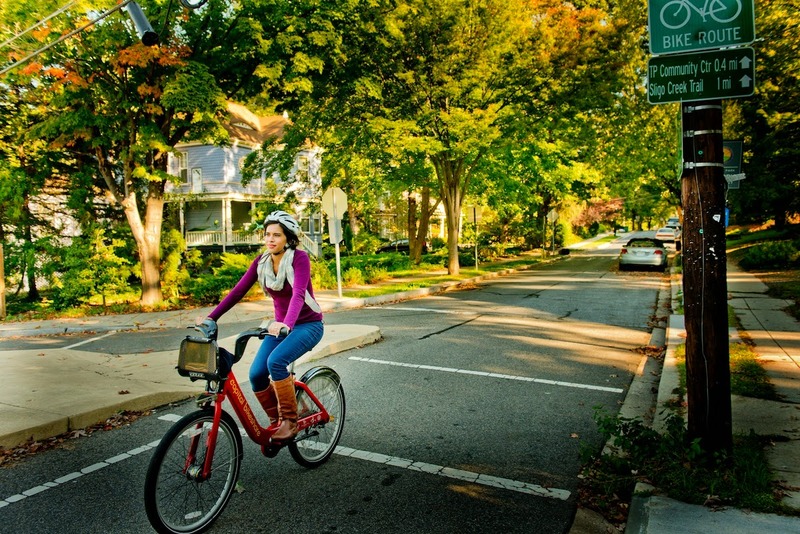 The picture I'm in is an advertisement for Capital Bikeshare. 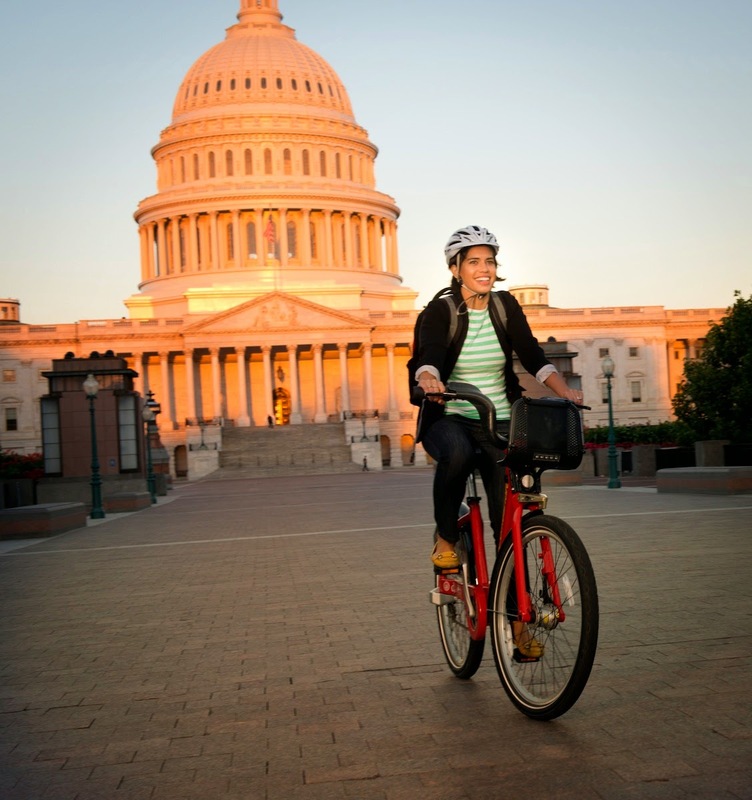 Capital Bikeshare has been around in DC for a few years, and it is my favorite way to get around the city. We know that driving is awful, and for short distances, public transportation still doesn't always cut it. Not all metros go where I need, or they aren't direct, or the wait for the bus is the same amount of time it takes just to walk. 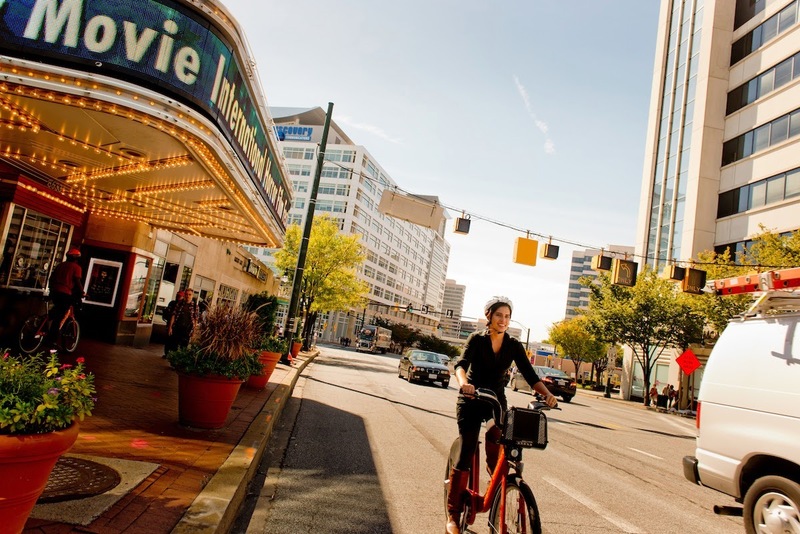 Enter Bikeshare. You pick up a bike from a dock close to you, have an awesome time enjoying the outdoors and burning calories, park at a dock by your destination! It's often cheaper, faster, and much more pleasant than any other system. It's even better than using your own bike since you don't have to worry about locking it up or for making one way trips. There's a fee that varies depending on whether you want to join for the day, month, or year. It's really only a bad option when you have to carry stuff that wouldn't fit in the bike basket or during bad weather (too rainy or too hot and sweat soaks through your work clothes). There's docks all over the city, and they've been doing some serious expansion into neighboring counties. Do you want to be able to say you’re a “model” on singles dating sites? Are you totally average looking, yet surprisingly photogenic? Then we want you! 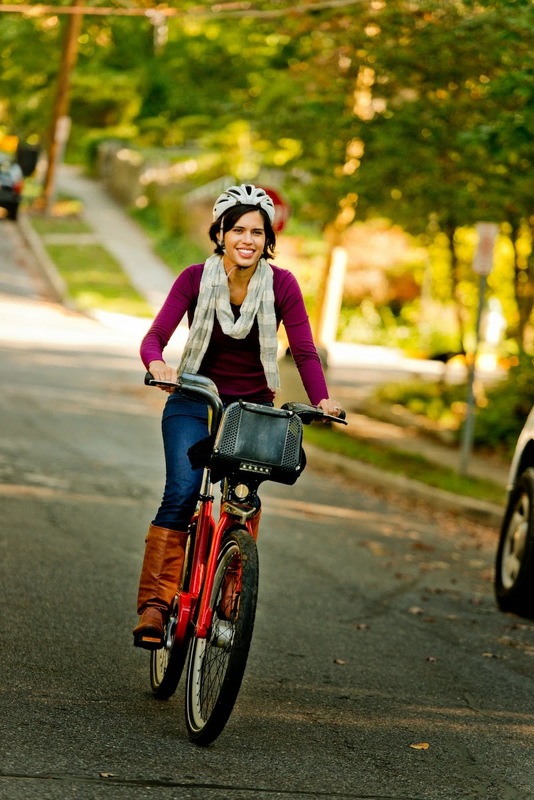 We are currently looking for models with the ability to ride a bike for an upcoming Capital Bikeshare photo shoot. Average looking? That's me! Photogenic? Not always me! But sometimes! Do I look awesome in a helmet? Um...Plus, I figured the helmet would enhance the forced and awkward smile I often have in pictures. The requirements were to submit a picture (it certainly doesn't reflect well on our culture that they felt the need to note it should be a fully clothed picture), and those chosen to participate would get a free annual membership and lunch provided. 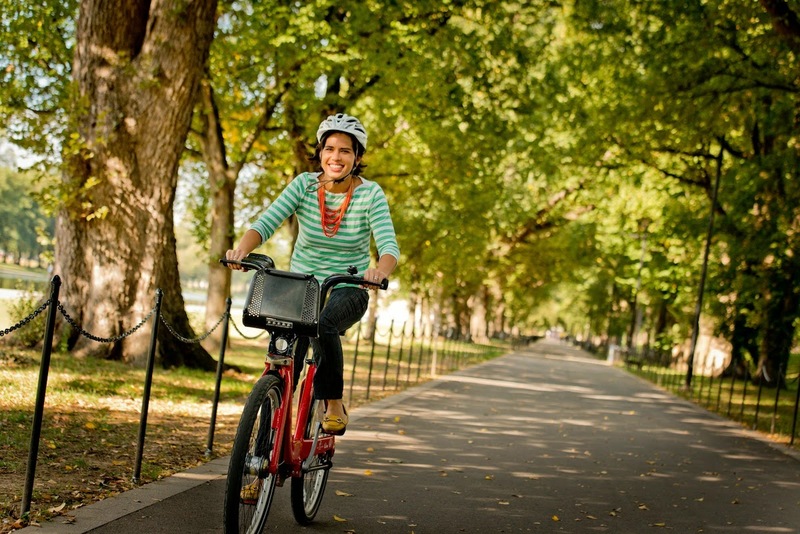 C'mon, I love Bikeshare, but I don't give away my time for free! Although I will give it away for fun perks! I submitted the only picture I had of just me on my phone (the one right above), which while not the most flattering, probably was the best representation of how my "pose for the camera" moments would turn out. Pretty average yet photogenic. Plus, these ads always try to be ethnically diverse, so I figured I was a good candidate because most people can tell I'm not white, but they can't tell what I am. Kind of like how Jennifer Lopez plays an Italian girl in "The Wedding Planner." Even though she's Latina, Hollywood thought she could represent other races. Of course, Jennifer Lopez ain't got nothing on my ability to look average, so they picked me, not her, to do the shoot. Ok I'm getting carried away, but whatever the case, I got an email a week or so after submitting my picture saying I was in and requesting my availability. It actually ended up that the shoots took place during the government shutdown last October, so I had the time to do two shoots with them. One around the Mall/ Capitol area, and one in Silver Spring/ Takomah. The guy managing the project, Matt, suggested bringing a casual outfit and a professional one, assuming you can bike in them. It took me ridiculously long to decide what to wear. My hair really didn't matter under the helmet, so that was easy, and I just went a little heavier on the makeup in hopes it would read better on camera. We met super early both days to be sure to take advantage of the morning light. The photographer, Sam Kittner, was friendly and professional. I've since seem some of his beautiful photos in exhibits and the results of this shoot, and his pictures are outstanding. There were a few other "models" there. Matt would tell Sam what kind of shot he was looking for then Sam would have us ride past him for the shot in various configurations. It'd be the same 20 yards three or four times and then a lot of waiting or biking to the next scene. Looking good on a bike is no joke. Insert joke about how hard it is to be a model here. Sam did his best to coach us "average people" on trying to smile and pose naturally, but it was a little hard to bike steadily, avoid traffic, look ahead and smile all at the same time. Or trying to look like you are engaged in a conversation with your best-Bikesharing-friend without actually making funny shapes with your mouth. Overall both days were beautiful, and I was happy to be biking, so biking in circles wasn't really a bad way to spend the day. The only "incident" was when the first day's shoot was over; I followed a few of the other bikers back to where our cars were. There was too much stop and go and hesitation in the middle of traffic with too many other people, and I ran pretty hard into the back of a stopped cab. A little bit of yelling, but no damage done. Once the photo shoots ended, I didn't hear anything. Sam gave me access to some of the pictures he took, and I kind of forgot about this whole thing until a friend saw my picture on a bus and took the picture at the top of the page! In my hometown! Where we're living right now! I think I laughed for ten minutes straight, so I share all this so you can join in laughing with me at me. In the meantime, I'm keeping my eyes open for anywhere else my picture may show up! And if you're interested, here are a few of the other pictures Sam took. He took a ton, so these are the ones of me I thought turned out best. They all looked great, but it wasn't Sam's fault that I had weird expressions in some of them! It's been over a year since I've had my LASIK. I am sure you have been checking for updates since then about the outcome. Well, you probably haven't as even I forget about it, but since I had my last follow-up appointment with them a few weeks ago, I figured I should give a final update. As a reminder, I got LASIK last year at Katzen Eye Group. It was pretty touch and go. Ok, it wasn't. It went perfectly and everyone was wonderful. I went back for my two month, six month and yearly check ups. Twice the Doctor had me read the 20/15 line (as in the line better than 20/20) and I passed! I think for the 20/15 it's really my educated guesses that are so good, not my vision, but there you have it: my vision is great! The only other differences is that my eyes have remained pretty dry. I use eye drops first thing when I wake up, but that's it for the day. I also think driving at night is a little harder. I think the lights are more fuzzy and it affects my depth perception. I don't notice it all the time, then again, I've barely had to drive at night for much of the past couple years, so that could be the real problem. Those irritants are totally worth not needing to make contacts part if my morning and evening routines. I don't crush my glasses with my face when falling asleep on the couch. I don't have to buy new eye ware, bring them on trips, or worry about leaving anything behind. One note: no eye group can guarantee results that last forever, since age would naturally change many people's vision anyways (ex: need for reading glasses). Some doctors have guarantees regarding future treatments. Mine guaranteed your eye sight for two years provided nothing happened that could alter your eye sight anyways (apparently pregnancy can do this - what in the world!). Another doctor I had a consultation with guaranteed free "touch up" LASIK surgeries, but the catch was that you had to go there for annual checkups forever after the surgery. My experience for the consultation wasn't a confidence builder though, and I didn't want to be locked in to going to him. Plus, the doctor I ended up going with had a Keurig, fridge full of free drinks, a nice little goody bag on surgery day for you and your driver, and so many free eye drop samples that I haven't had to buy any all year (and I use them every day). You know that sealed the deal for me, whether it was logical or not. I am only a tiny bit sad I don't have an excuse for some cool hipstery glasses, but that is just because I am attracted to pretty, shiny things like a magpie. Or maybe because I'm quick to be discontent. Or really it's probably because I know too many hipsters. Despite the minor minor inconvenience of losing my chance to be in the Warby Parker club (I know they have non prescription lenses, but can't really justify the cost), I've been thrilled with everything. The only situation LASIK hasn't helped me in is when I'm looking for something that is right in front of me. Ever have one of those moments? Other person (usually Jason or my mom): Did you look in the coat closet? Me standing in front of coat closet: Yes! Other person comes over, takes a look and pulls pit the item: Here it is right in front of you. So yeah, doesn't help with those situations, but I guess you can't expect a doctor to be a miracle worker. We had just stepped off the bus in New York. Carrying our bags and not quite prepared for just how cold it was, I knew what block we were on, but not what direction we were facing. We headed to the end of the block so we could see past the scaffolding far enough to gain our bearings as attempted to weave past the groups slowly walking three abreast while doing our best not let our luggage create the same road block. It was past nine and the lights and the traffic and the attractions were all blaring and glaring. And while our hotel didn’t look all that far away on the map, we had a good mile to go. Walking a mile isn’t too big of a deal to me, but a mile covers a lot more of the map in DC. Not so in New York. “I’m not sure if I could handle living in New York City,” I said. “I think the opposite is true,” Jason replied. Silence as I think the following: The opposite? What is the opposite? New York can't handle me? I'm not really that crazy or a big deal, but... New York can't even handle me! Whaaat! Jason clarified, “I meant, I think you could handle this once you got used to it, but you couldn't handle living in the country.” Bubble popped. I think he is right. And that explains the post title. 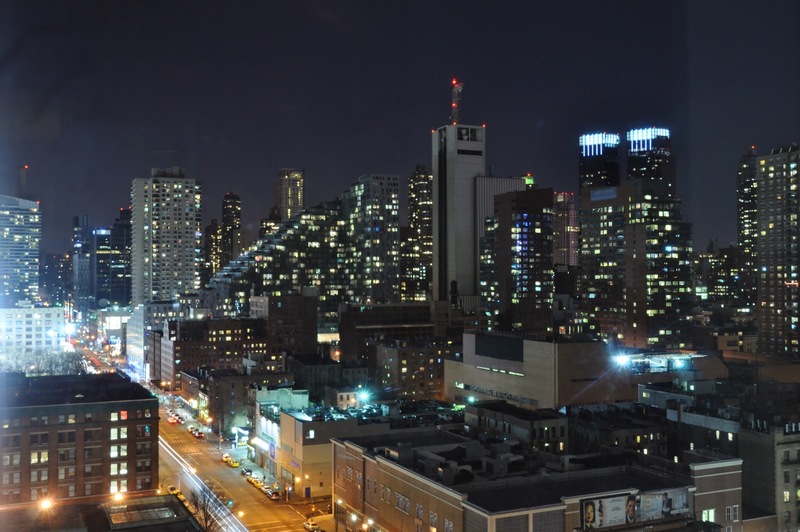 I’ve been wanting to explore Brooklyn, but decided to stay in Manhattan at the Ink48. It was basically because the only NYC Kimpton hotels are in Manhattan, and we love their hotels that much. Upgraded to a corner suite: this explains our brand loyalty. We took the bus from DC to NY after work Friday so we didn't get in until after 9. The rate I booked at the hotel was a special deal that if you take a train or bus into the city, you get a $50 dining credit. The late hour made it an easy choice to use it for dinner that night at the hotel restaurant, Print. Dinner was tasty although we had an unusually long wait for the food to come out. The next day our goal was to explore Brooklyn and take some pictures. After a leisurely morning drinking coffee and a quick workout, we headed off in search of that defining experience of any city: brunch. Before this trip, I hadn't had time for my normal amount of restaurant "reseach," but preliminary analysis suggested that Littleneck in Brooklyn was supposed to be good for brunch, so we went way across town to get there, only to find that the door was locked. I'm really not sure what was going on because people were inside, and we felt rather silly as we attempted to open the locked door while the people inside laughed at our confusion. A few blocks from our hotel I discovered my camera battery was dead, so since it wasn't even noon and we had already failed at our two goals for the day (brunch and pictures), we just started walking towards downtown Brooklyn. We conducted our own food tour that day, as we walked. We stopped for some cheap and greasy pizza at My Little Pizzeria. I'm not sure what makes a slice "NY style", but for $2 a slice, it was perfect! We got the lunch special at Ki Sushi. I thought the place was great for lunch: good value, fast, and nice atmosphere. We popped into shops to browse and walked whatever way looked fun. I told Jason I was "following my heart"as to which direction to go. I'm not really sure where we should have gone, but we had fun browsing furniture and antique shops along Atlantic Avenue and hipster clothing and coffee shops on Smith Street. We seem to have opposite taste on most things, so it's like a game to us to in home furnishing stores to point to a piece of furniture and ask, "What do you think about that?" and see if our opinions match. The answer is either a vehement "I think it's so ugly" or a tentative "I kind of like it." We usually end up laughing because either we're so surprised that we agree or of course we don't agree. We will probably never buy furniture and just have empty rooms. Ever since visiting Portland last year, I've been craving chicken wings from a place called Pok Pok. Of course, when I saw mention of a location in Brooklyn, my mind was made. I tried to play it casual with Jason, like if we didn't go it was no big deal. I even gave him other options and agreed with his vote to get Italian. This man is some kind of mind reader though, because somehow he (or was it me?) came up with the idea of getting chicken wings at Pok Pok as an appetizer and Italian pasta elsewhere. I guess we were just continuing our "food tour" from lunch. (Ooh - I also just had a light bulb moment regarding a new career - food tour conductor.) He was skeptical that something as ordinary as chicken wings could really be that good, but I assured him they were. (Obviously our furniture shopping experience taught me nothing about how rarely we have the same opinion.) In effort to "go with the flow" (which for me means not planning activities around food and eating in places that aren't research or planned), we had walked a mile and a half through Brooklyn Bridge Park (gorgeous especially during sunset) even though it was in the opposite direction of Pok Pok. I assumed Jason knew this and we would eat elsewhere. So when we got to the end of our walk and Jason asked, "Where's the restaurant?" we both were in for a surprise: I was didn't know he still wanted to eat there and he didn't realize that it was so far away. By this time the sun had set, the temperature was below freezing, and we figured we'd just walk the 30 minutes since finding a new place would take as long. Funny story though. After speed-walking the entire way, we arrived to find out that I got the opening time mixed up meaning we arrived twenty minutes before the place even opened. So that meant more time waiting in the cold. It worked out nicely though since the line forming at the door was already over a dozen people long and if it really had opened when I thought, I'm not sure we could have gotten a table right away. After spending 50 minutes in the cold, my appreciation for Jason, as well as his expectations for these chicken wings were getting pretty high. As we waited I peered into the small restaurant, comparing the number of tables to the number of people in front of us. I started to get nervous that we'd have to wait even longer for a table and that Jason wouldn't even like the food after graciously waiting so long. The good news was that we did get a table soon after they opened, and- even better - Jason agreed the wings were worth it! Totally worth the wait! Pardon the grainy iPhone photo. Next on the "food tour" was Italian, specifically gnocchi. (Yeah, I also forgot we did anything but eat at Pok Pok since I just wrote a whole story about chicken wings, and it wasn't even that climatic!) After being in the cold so long we decided to find somewhere closer to our hotel. According to yelp, (warning sign #1), the best gnocchi to be found was by Time's Square (glaring warning #2) at Scarlatto. We waited a few minutes in the drafty entry way despite having reservations, and were eventually seated with the next table so close they started chatting with us. We ordered our single dish of gnocchi, which clearly annoyed the waiter. Rather than tasting like "pillows from heaven," the gnocchi tasted like spaghettiOs. The waiter even swiped my card for another table's $200-plus bill. He was able to cancel the charge, but it certainly solidified my negative opinion. I was tempted to tip less than normal, but the highlight of the place were the courteous and attentive busboys, who would likely have suffered more than our rude waiter from a small tip. Needless to say, I learned my lesson about taking advice from Yelp. We were back at the hotel before 9 pm. I felt a little lame for turning in so early in the city that never sleeps. Maybe if we had been there longer or planned better, we would have tried to do something else, like a play or live music, but the goal for the weekend was just to do whatever we wanted without having to rush around, so turning in early to take advantage of the nice room and some Netflix was perfect. We finished off the weekend with a lazy morning brunching and walking through the shops in the Flatiron District the next day. We ate at Maysville. The food was Southern. The decor that ubiquitous, industrial, reclaimed wood and staff clad in plaid. But we thought it was good, and it was really easy to get in without a wait or reservation, which isn't always easy. Before getting on the bus home, we picked up snacks at the Doughnut Factory and some sandwiches for the ride. As a Top Chef fan, I couldn't resist getting mine from 'wich craft, Tom Coliccio's local chain. Jason got a BahnMi from Num Pang, which was both more tasty and messy. So overall, the weekend was a great chance to enjoy the time together. My one regret was that we never made it up to the rooftop bar at our hotel, which is supposed to have amazing views of the skyline, but we had a pretty great view from our room anyways, so it never felt like we were missing all that much. There's always next time. Update: I downloaded an app called "city mapper" to get around and it was AMAZING!! It showed all my transit options, their cost, and how long they would take - including walking and taking a cab. Highly recommend it, especially compared to my other transit apps. "The best kind of prize is a sur-prise." That is a line from the newer Willy Wonka movie with Johnny Depp. It's slightly creepy, but the original is too in ways I never noticed as a kid. But I digress. Back to surprises... boy, did we get a one a few weeks ago. Two days after saying our final goodbyes for nine months, Jason's job was changed, and he came back home. Bam! So that was way different than what we expected all year. Seriously, one day I'm saying a tearful goodbye, and the next week I'm picking him up from the airport. We're glad, of course, that we doesn't have to go through the challenges that come with being apart all year. It's a big relief, and I'm so grateful for everyone who has shared in that joy with us. At the same time, it's a little disappointing for Jason not to get the job he was excited to do. He's been preparing for so long and thought the experience may have helped in the future. And clearly the planner in me is going crazy. We've been preparing all year for this! We moved! Oh good, now he will get to watch the World Cup with me. But we moved! Where will we live now? What about my plans? "My plans." We had scenarios A, B, and C totally worked out and, wouldn't you know, this was the one thing we did not plan for. God is slowly teaching us the truth of Psalm 16:9, "The heart of man plans his way, but the LORD establishes his steps." We aren't totally sure what the next year looks like right now. There are a lot of "wait and see" type things happening, so I still can't plan more than a couple months. It sometimes drives me crazy, but it's also exciting that the world is our oyster, if you will. We were attempting to talk about where we might live in a few years, which was proving impossible with all the unknowns. Jason just laughed that we weren't seeing the obvious lesson, "Maybe God is just teaching us that we can't plan everything right now." So we are doing our best to plan wisely and hold those plans loosely. And at least one thing is sure about the summer: we will be watching more soccer Jason even knows. If you don't count the times my mom tells me to clean the bathroom, living at my parents' has had a lot of perks. It's been really fun living closer to family the past couple months, especially my niece and nephew. They are two and almost-one, and noticeably grow every time I see them. The first is from a few months ago when she only had a few words in her vocabulary: "boat," "wada boddo" (water bottle), etc." The funny thing was, when she was mad, she'd just say any words she could think of, including her favorite artists, Toby Mac. (Ok, he's one of my favorites too. This is what happens when you grow up listening to DC Talk. Yes, Mary and I are still ten at heart and dragged our kind hubbys to his concert last year. And since Claire really only hears the music that her parents choose to play, she was doomed.) So since "Toby Mac" was one if the few words in her repertoire, it became like her version of a curse word. For example, my dad had to pick her up once when she was running away, and she flailed her arms screaming, "No! No! Toby Mac! Toby Mac!" Once she got more mobile, she started getting into things that she shouldn't, to which her mom would just say, "no no" and she'd obey. It didn't take long though, for her to realize that it's like a fun game when she does not do what she's told. The funny thing about Claire, is that she will defiantly do exactly what she shouldn't (touch outlets, play with scissors, scratch her brother), but she'll correct herself while doing it. She says, "Nooo nooo," while touching electronics, or tells her dad, "I'm disobeying." Let's hope she either starts obeying or stops tattling on herself. Clearly only one of those is a good option. Have I mentioned how much Claire loves salt? We sometimes have to hide it at dinner or she will continually ask for it, dump some on the table, then eat it. I'm not totally sure how she made the connection, but with so many snow storms, she's been snacking on the salt that's spread on the porch to prevent ice. The other day she said to me, "Sarah sad. Jasee long trip." Then she tells me to pretend cry because she thinks it's funny. She calls McDonald's "chicken nugget house." Another thing we laugh about is her penchant for nicknames. She normally says "Mommy" when referring to her mother, but sometimes has silly moods where it turns into "Mommy-a-ma," or "Mamu." "Pop pop," my dad's name, is sometimes pronounced "Popth" with the same ending noise and saliva spray as when you stick your tongue out and blow. I find it hilarious that these names aren't spontaneous either. She plans her silly names and once told my mom before my dad came home, "I'm gonna say 'Popsy poo.'" My mom decided she wanted to go by the Filipino word for grandma, Lola. "L" words seem especially hard for kids, so for a long time Claire said something closer to "Ra-rai" (said: ruh rye, like rye bread). But when my mom, who can sometimes have a hard time pronouncing words, tries to repeat Claire's name for her it sounds like "Wa-wai." But then my dad repeats what my mom says and it turns into "Wawee." Did you get that? There are three iterations of nickname that result in Claire saying to my mom, "Wawee, I call you wawee." I told you she plans out her goofy names. I didn't think the ESL in our house could get any better. Turns out that when you add a kid learning to talk it does! The best part is that with all her nicknames, she doesn't as many for her dad. Instead, her favorite name for him is calling him by his first name! "Jiiiiiim," she'll say through a clenched smile. My last story involves her bed time story routine. You know how kid's books have all these rhymy nonsense words? (No wonder they come up with goofy words on their own! We encourage it!) One of Claire's favorite books is full of animals singing nonsense-word songs, Dooby Dooby Moo - I think from a Chick-fil-a kid's meal. Even nonsense though, needs to be read properly. One night when her dad was reading it, she told him, "Mommy read it. Too hard for Daddy."